Use error_reporting(E_ALL) [link] use it along with ini_set (‘display_errors’, ‘On’) [link] . Use them not only for PHP errors, but also to see all compiler warnings PHP, what methods are deprecated, nonexistent indexes, etc. To run the PHP code, it hast to be delimited by <?php ?>. We can configure our PHP (php.ini) to use short tags <? ?> , and the script will run exactly the same. But what happens if we change to another server that are not enabled? Our pages will not work as expected any more, and, what is worse, our source code might be printed on screen as plain text, which could be a major security problem. The operator == compares the value while === compares the value and type. Since PHP variables do not have an assigned type and it can be changed “on the fly” at run-time, we should be careful when using each operator. Therefore, if we want to verify the presence or not of a string strpos() should not be compared by value (==) but by type and value (===). These functions perform the same task. However, echo is considerably faster than print. When working with strings, always avoid using double quotes. PHP analyzes the content of double quotes looking for variables, resulting in a longer run. The search for a string case non-sensitive stripos() is between 400% and 600% slower than its equivalent case sensitive, strpos(). As for regular expressions, sensitive searches, preg_match(“/ $pattern /”, $string) are, as a rule, slightly more efficient than the equivalent non-sensitive: preg_match(“/ $pattern / i”, $string ). 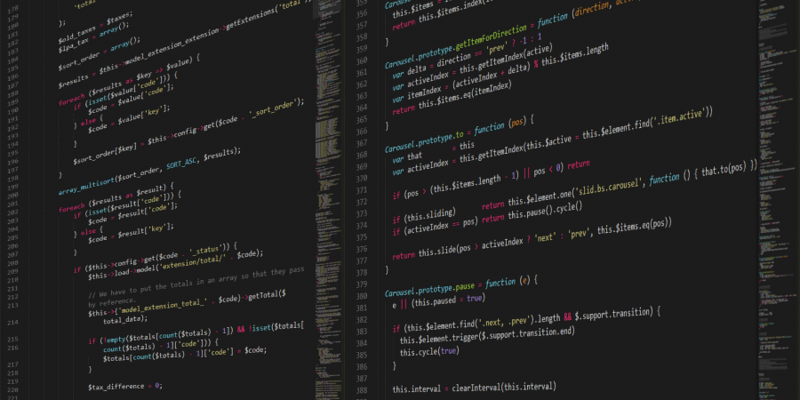 Code reuse aims to save time and resources and reduce redundancy by taking advantage of assets that have already been created in some form within the software product development process. The key idea in reuse is that parts of a computer program written at one time can be or should be used in the construction of other programs written at a later time. Avoid having files with hundreds or thousands of lines. Combine the functions that you use frequently in separate Classes/Files and include them. return $dates . $dateSeparator . $dates. For example, if we need to check if a string has a given length we could use strlen(). Since strlen is a function, PHP needs to perform a previous work to execute the call (convert to lowercase and search the hash table functions), and then perform the function itself. But we could use isset(), and PHP will not have to make any previous operation or be overloaded. Pre-increase (++$i) is around 10% faster than post-increase ($i++). The reason is that when doing post-increment, PHP needs to create a temporary variable to store the value to be increased. Note: pre-increase and post-increase have different purposes. These are helpful good practices to increase the performance of your code, but keep in mind that being a purist is not always the best way. Unless a system is intended to be scalable, I sometimes will sacrifice speed (milliseconds) for clarity. Remember, beautiful code is usually good code.